In order to avoid the occurrence of continuous accidents, Hyundai has developed a new explosion-proof airbag called Multi-Collision Airbag System. According to statistics from the US Road Traffic Safety Administration (NHTSA), 30% of the 56,000 traffic accidents between 2000 and 2012 in North America have occurred more continuous collision situations after the first collision. Causes of intermittent collisions include other means of transportation, trees or pylons etc. 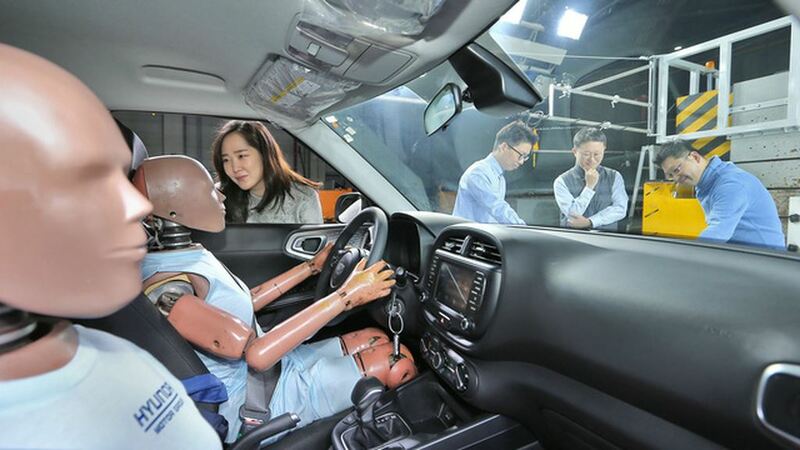 The system that Hyundai is developing promises to overcome the drawback that cannot protect users during the second collision of traditional airbags. In particular, the Korean group’s new airbag has the ability to reactivate again at a faster rate than usual when the sensors on the car recognize the impact of another collision. Which airbags are activated is also an issue that Hyundai has thought of. Hyundai said the new airbag system works based on sensors continuing to track the position of passengers and drivers inside the accident. Thus, all operations are handled by the system with minimal delay. Hyundai Group will equip a new airbag system across all Hyundai and Kia models when the project is completed, expected within 2 to 3 years. Before that, they were also the first brand to develop a sunroof airbag.